My trip to Paris was, for the most part, a waste. My very first croissant. And boy, was I in love. Notre Dame and the Eiffel Tower through the window of a tour bus. Being driven to our hotel with a woman cab driver who had her German Shepard in the front seat with her. Being the only one who knew how to speak French out of myself, my mom, and her friend who we were traveling with. Were I to go now, as an adult, I’m positive I’d colossally appreciate it. As for the stairs? I’ve been to Japan. It can’t be worse for stairs than that. Can it? The prompt word, “Paris,” for today’s post is brought to you by Kelli! Thanks, Kelli! To find her “Paris” post, click here. And say hi while you’re there! 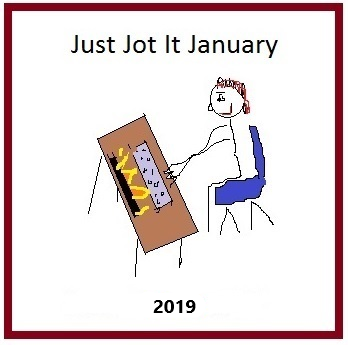 Categories: Adventures, Blogging, Blogs, Just Jot it January 2019, Life, Opinion, Travel | Tags: France, Humor, inspiration, JusJoJan, traveling with a teen, writing prompt | Permalink.